Subject: Ensuring the continued performance and maintainability of Airside Services Operations Centre (ASOC) Data Displays. 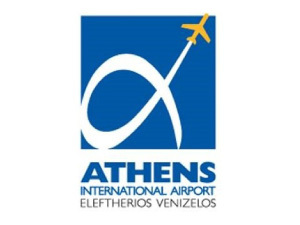 To support the day-to-day operations of Athens International Airport, a Radar Data Distribution System (RDDS) and Advanced Surface Movement Guidance and Control System (ASMGCS) provide real-time information on aircraft movements via remote data displays to the staff in the ASOC. This information provides enhanced situational awareness to allow staff to deliver the best operational efficiency. The equipment was originally installed by Cyrrus in 2001 in response to an urgent operational requirement in preparation for the Athens Olympic Games; the system performed reliably and was upgraded by Cyrrus in 2009 to ensure this continued. Cyrrus was engaged to undertake a maintenance visit to evaluate and baseline the current performance of the systems, spares holding and maintenance activities, and determine the requirements to ensure that the equipment continues to provide the required level of support to ASOC operations. To confirm the equipment still met the Airport’s operational requirements, Cyrrus performed a full system check of the RDDS and ASMGCS systems and the Site Acceptance Tests (SAT), conducted in 2009, were re-run and results compared. The spares holding for both systems had, over the years, diminished and the serviceability state could no longer be confirmed. Cyrrus itemised all spare units and cables held for the systems and used this list to highlight potential areas for replenishment. A number of the major items were tested during the checks having already identified a small number of failed units. Due to the systems’ reliability over the years, the engineers had gained very little hands-on maintenance experience. The Cyrrus maintenance visit was an ideal opportunity to explain the operation of the systems, detail the most likely faults, their cause and rectification, and discuss fault reporting strategy. The system check and SAT re-run confirmed the system performance against known criteria, highlighting degradation that may indicate possible future failure. Cyrrus made recommendations for the spares holdings to ensure the RDDS and ASMGCS displays can be maintained for the foreseeable future. Cyrrus performed on-the-job training with the IT engineers responsible for maintaining the systems. This visit provided real-time confidence in the system operation and its continued support for the next few years.